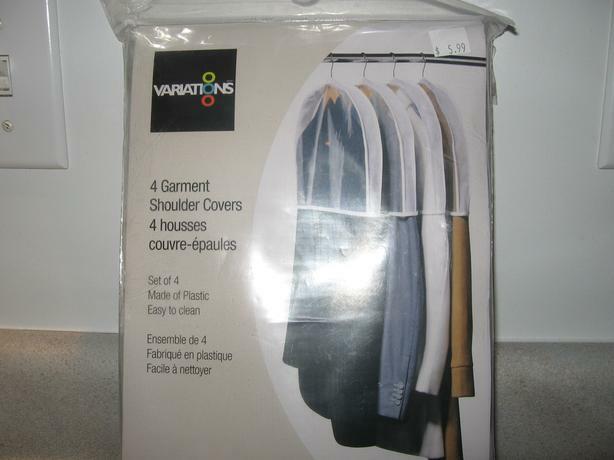 Set of 4 Garment Shoulder Covers for storage of clothes on hangers in your closet to keep items dust free - made of plastic and easy to clean. Covers are not in packages as they were briefly used. I sold the one set in a package in the photo but rest are the same as this pic.